Kokkinakis Tennis Racquet - What racquet does Kokkinakis use? 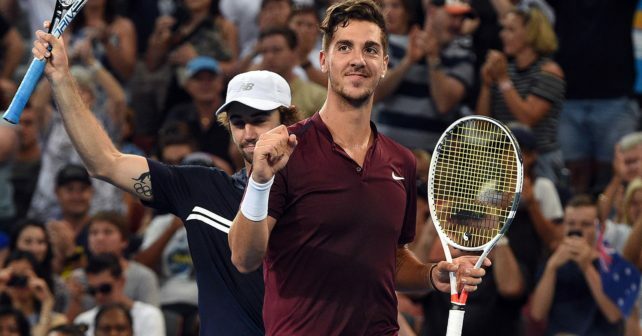 Talented Australian Thanasi Kokkinakis has returned to the ATP Tour with a bang and made people wonder what is that Kokkinakis tennis racquet? Kokkinakis tennis racquet is a Babolat Pure Strike in 18×20 string pattern. 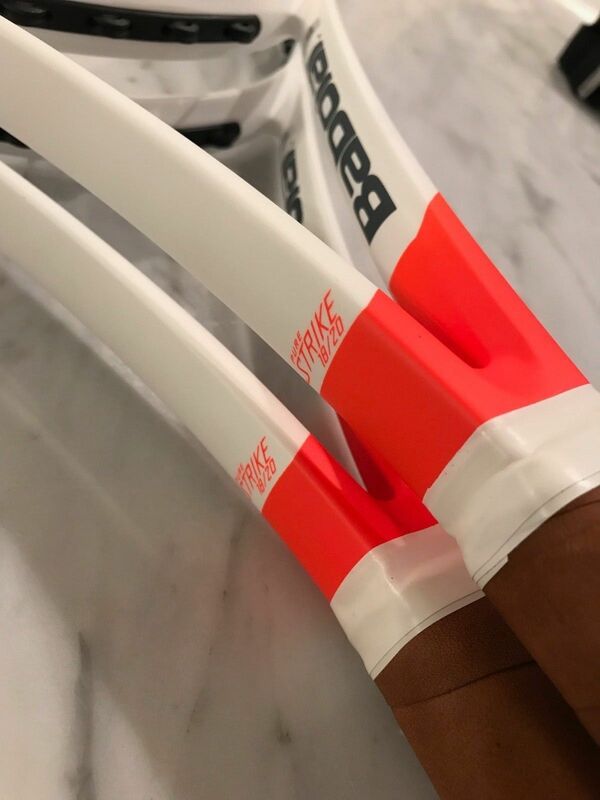 He has switched to the Babolat Pure Strike from the Babolat Aero Pro Drive . And considering how he beat Roger Federer (read about Roger Federer’s racquet here). He strings it with Babolat Pro Hurricane Tour 17 . The young Aussie recently made a great result in Miami Masters where he beat Roger Federer. Read more about this impressive win in this post. 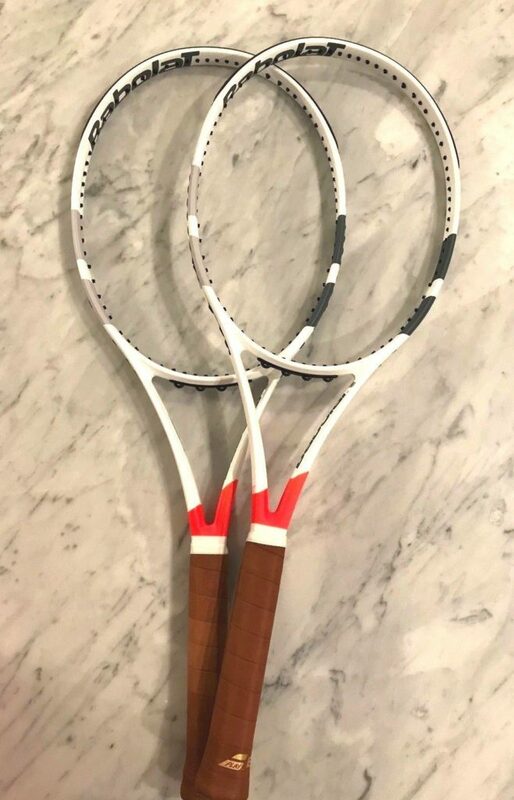 The pics of Kokkinakis tennis racquet in this post are from an eBay seller who sells these racquets for 499 USD each. 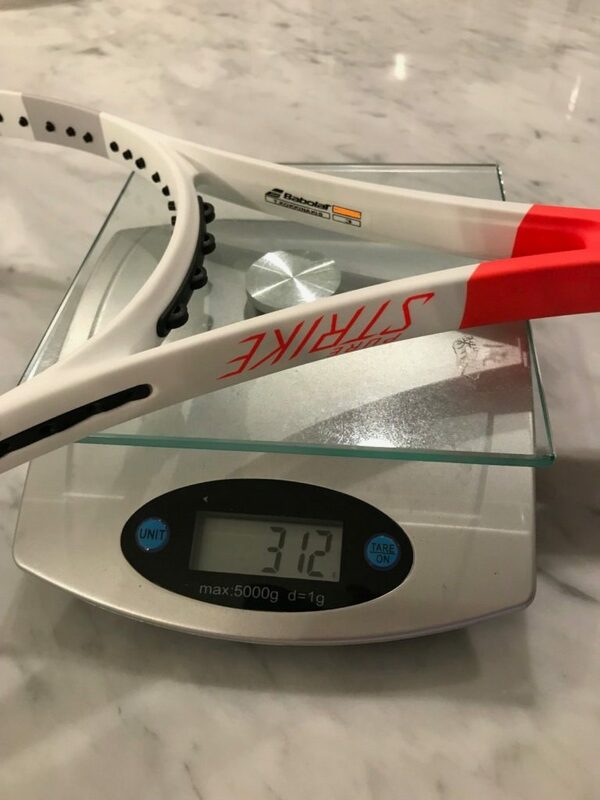 Not sure these are pro stock tennis racquets or just regular retail Pure Strikes, but the weight of 312 grams unstrung sounds very light for a professional tennis player. But with Kokkinakis fast swing-technique and massive top spin, it’s not impossible he uses such a light racquet. I would still think he adds some lead tape to the frame. 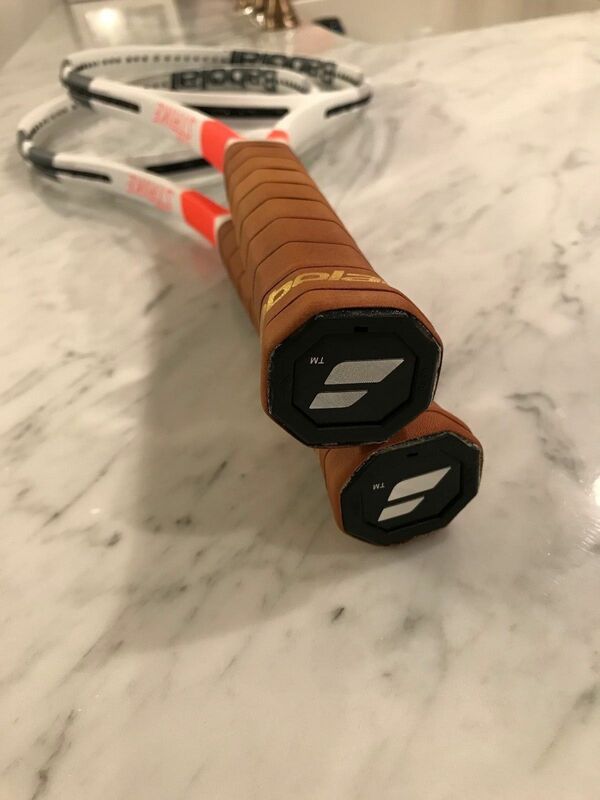 If you want to read more about the well-reviewed Babolat Pure Strike, read this post (the racquet was previously called Babolat Project One Seven) although it’s focused on the 16×19, the difference in string pattern is not very big since the 16×19 pattern on the Babolat Pure Strike is quite tight in the center. Have you tried the Babolat Pure Strike? What do you think of it? Please comment below!